The second World Championships of the new Olympic cycle towards Tokyo 2020 started with one gold medal for the sport’s homeland of Japan and a record-breaking medal for Ukraine. Paris Grand Slam gold medallist Daria BILODID (UKR) was crowned the youngest world judo champion in history with a sensational performance in Baku. 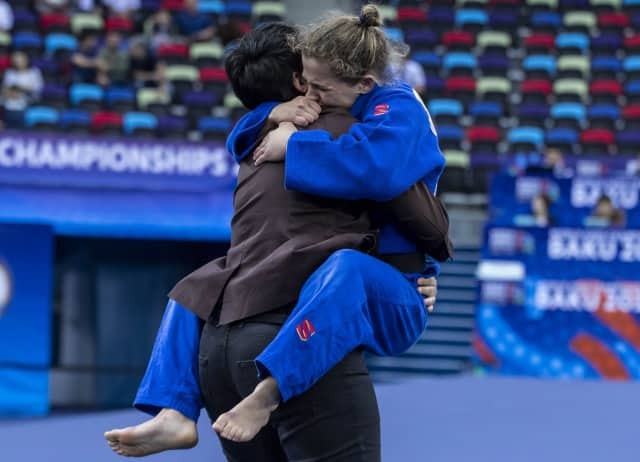 The 17-year-old, who had already won five won IJF World Judo Tour events this season, won the world title at her second attempt and added her name to record books. BILODID beat the record set by all-time great TANI Ryoko (JPN) who was 18 when she won her first world title in 1993. TANI went on to win seven world titles – at a time when the event was held every other year - and five Olympic medals and is widely considered as the greatest female judoka of all time. TANI went on to win seven world titles – at a time when the event was held every other year - and five Olympic medals and is widely considered as the greatest female judoka of all time. 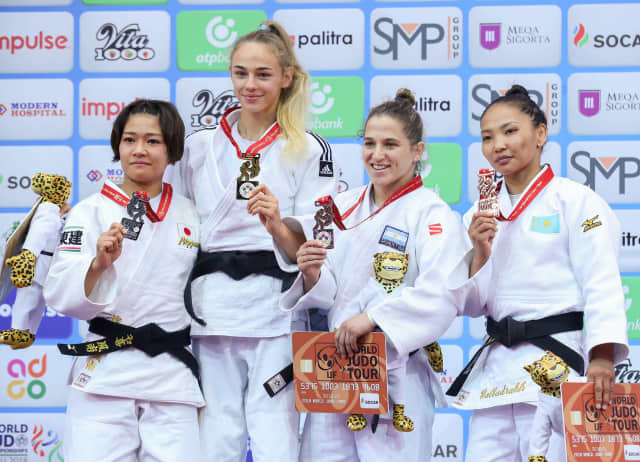 Defending world champion TONAKI Funa (JPN) lost out to BILODID for the third time this year when she was caught with the Ukraine’s favoured o-uchi-gari for ippon. BILODID rushed off the mat in tears to jump into the arms of her mother who is her matside coach. TONAKI lost out to her arch-rival at the Paris Grand Slam and Zagreb Grand Prix in the semi-finals and failed to come up with an answer to the ippon judo of the new face of the -48kg category. The new world champion has now won 30 contests in a row. In the first semi-final TONAKI came from behind to defeat former world champion MUNKHBAT Urantsetseg (MGL). The Mongolian led by a waza-ari score for much of the contest from a seoi-nage but committed a fatal error in the closing second as she was penalised with her third shido for a false attack. In the second semi-final Olympic champion Paula PARETO (ARG) fell to the exceptional teenager BILODID. In their first ever meeting it was the Ukrainian who set the pace in a fascinating contest between the long-time face of the category and the new ace of the category. BILODID, who was seven years old when PARETO won bronze at the Beijing 2008 Olympics, scored a waza-ari from an o-uchi-gari with 40 seconds left on the clock and there was no way back for the Argentine who did not look 15 years senior to her superstar rival. In the first bronze medal contest PARETO won her third World Championships medal at the expense of Antalya Grand Prix winner Catarina COSTA (POR). 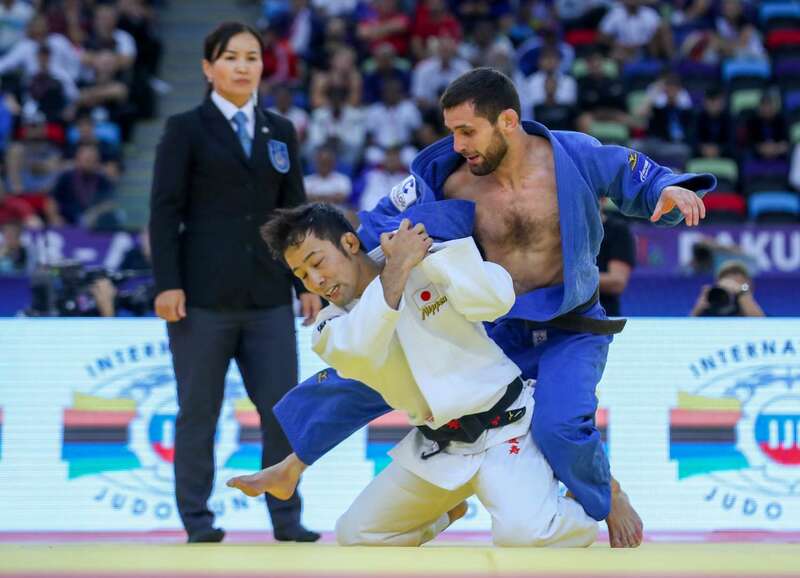 The Rio 2016 champion defeated world number 20 COSTA by a clear margin of two waza-ari scores as the Portuguese was finally subdued with a sode-tsurikomi-goshi. PARETO now looks on course for her fourth Olympic Games while COSTA has a lot to be happy with after earning the best result of her career at this early stage of the Tokyo 2020 qualification phase. Argentine ace PARETO will be an Athlete Role Model at the Buenos Aires 2018 Youth Olympic Games in October. In the second bronze medal contest former teammates collided as Olympic bronze medallist Otgontsetseg GALBADRAKH (KAZ) renewed her acquaintances with MUNKHBAT. GALBADRAKH switched from Mongolia to Kazakhstan in 2015 with Rio 2016 in mind and it paid off as the pocked-rocket qualified and won bronze while MUNKHBAT finished fifth. MUNKHBAT entered with the head-to-head advantage at 5-3 in favour of the former world champion but Kazakhstan’s 2017 world bronze medallist repeated for her country as the former was penalised for a false attack in golden score and was disqualified. 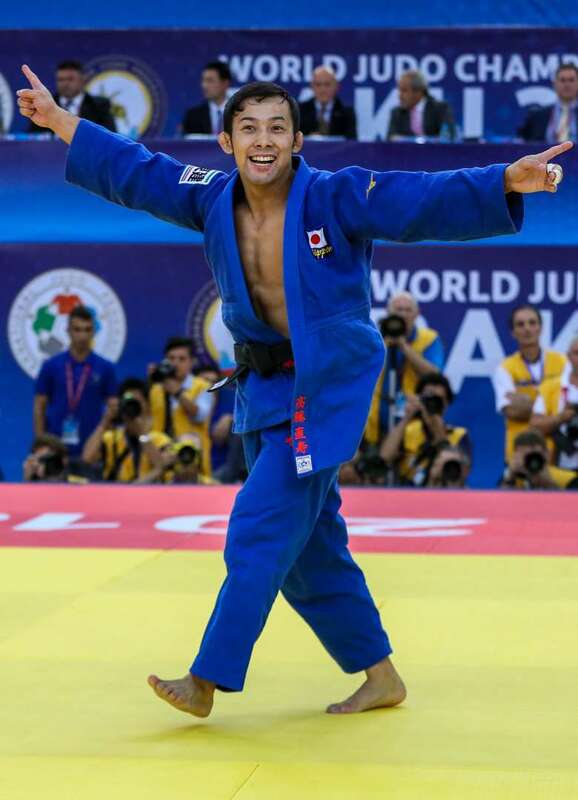 Defending world champion TAKATO Naohisa (JPN) successfully retained his red backpatch and won Japan’s first gold medal in Baku. 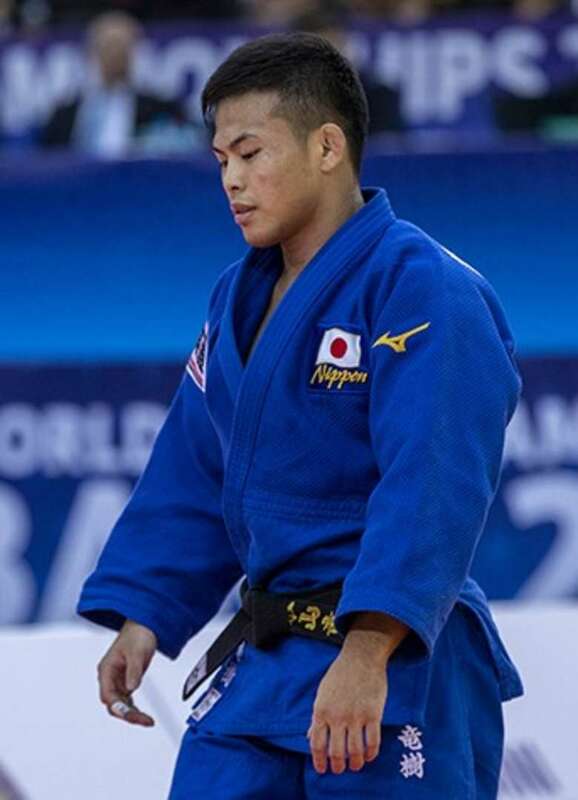 TAKATO, who appeared to pick up an leg injury in his semi-final win, fought through it and was not going to be denied on a stage where he has now excelled in 2013, 2017 and 2018. 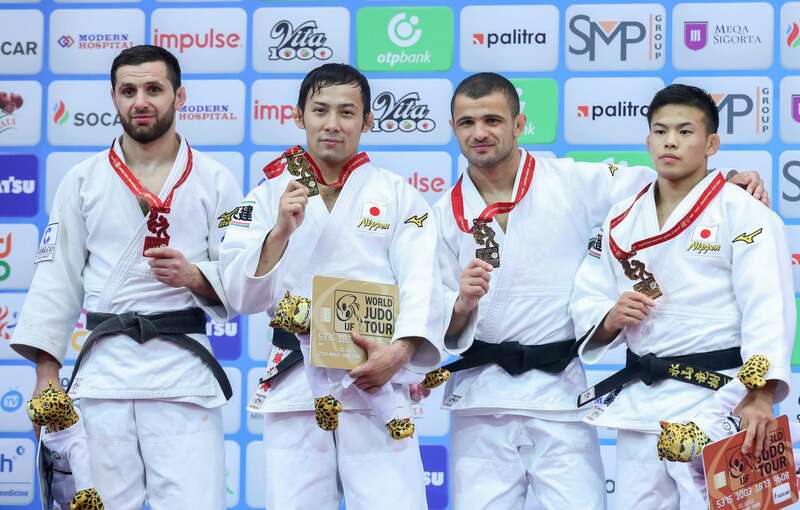 The Tokai University judoka extended his unbeaten run to 35 contests with a narrow win over Düsseldorf Grand Slam silver medallist Robert MSHVIDOBADZE (RUS) in the final. TAKATO produced the only score of the final as he prodded his Russian opponent with a ko-uchi-gari for a waza-ari and is firmly in pole position in the race for Tokyo 2020 for his country with one World Championships to go before the Games. In the first semi-final TAKATO Naohisa (JPN) outlasted teammate NAGAYAMA Ryuju (JPN) in golden score. In a compelling contest which pitted the world champion against the world number one, TAKATO made a slow start but improved as the contest went on and took the initiative in golden score after a stalemate in regulation time. The Olympic bronze medallist caught his colleague with a ko-uchi-gari for a match-winning waza-ari after 16 seconds of additional time. In the second semi-final Abu Dhabi Grand Slam winner Robert MSHVIDOBADZE (RUS) bested 2014 world bronze medallist Amiran PAPINASHVILI (GEO) in a riveting last four contest. PAPINASHVILI opened the scoring with a waza-ari but faded in the latter stages and just as it appeared like he would be penalised for passivity, MSHVIDOBADZE struck to keep his dream alive and force golden score with a waza-ari score of his own. The Russian guaranteed his country’s first medal in Baku by catching his adversary with a ko-uchi-gake for his second and match-winning waza-ari after 54 seconds of additional time. In the first bronze medal contest PAPINASHVILI thwarted Junior World Championships silver medallist Karamat HUSEYNOV (AZE) to deny the hosts a medal on day one of their first World Judo Championships. World number 51 Karamat HUSEYNOV (AZE) had produced the upset of the morning session as he conquered Olympic champion Beslan MUDRANOV (RUS) by countering for ippon. PAPINASHVILI, who was the number three seed, had the edge over the Azeri and prevailed by a waza-ari, the smallest scoring margin possible, to hand his country a much-needed boost and successful start in Baku. In the second bronze medal contest Asian Games bronze medallist LEE Harim (KOR) had a battle of attrition with NAGAYAMA. Both judoka failed to trouble the scoreboard in regulation time, but in golden score World Championships debutant LEE, who left it all on the tatami, was thrown by the Japanese with a majestic uchi-mata. Top seed NAGAYAMA of Tokai University, who won after eight seconds of added time, is game for the duel with TAKATO on the road to Tokyo 2020 for the sole berth at Japan’s first home Olympiad since 1964 when judo joined the Olympic programme. As the host country Japan do not have to quality any judoka and have the right to pick anyone in the 14 weight categories.